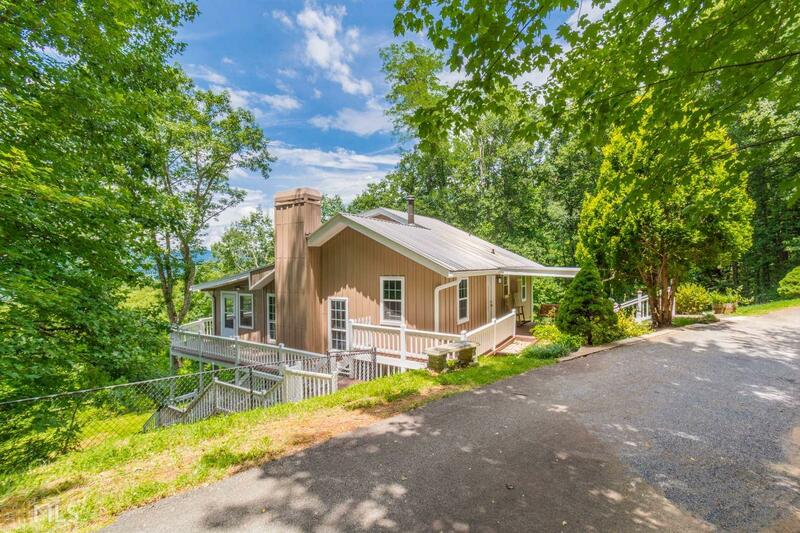 Breath-taking, million-dollar mountain view for under $300,000, this house is a MUST-SEE! Located atop Cedar Mountain, seller states it&apos;s the 5th highest home in Lumpkin County at an elevation of 2200 ft. 3 bdrm 2 bath, with closeted bonus room below. Many updates w/renovations in progress. Hardwood floors. Metal roof. Newer paint inside and out. Fenced back yeard for your pets. Detached garage/shop. Quiet mountain community, 9 mi north of Dahlonega&apos;s Historic Town Square. 1/2 mile from the R-Ranch, Seller will throw in a 1/2 yr membership in exchange for right offer. Directions: From Atl Go North To End Of 400.lft On Hwy 60/19 To Dahlonega. Travel 6.4 Miles-Right On Morrison Moore Pkwy. Travel 8 Miles- Bear Left On 60n To Stone Pile.1 Mile To Rt On Cedar Mountain Rd.393 Cedar Mtn Is About 1/2 Mile On The Lft At The Top Of The Mtn.